The ecclesial crisis roiling the Orthodox world in the wake of the Ecumenical Patriarchate’s (EP) declaration of Ukrainian autocephaly shows no signs of dissipating in the near future. Hopes that it may do so in the longer term are, perhaps, optimistic. Among supporters of the EP the expectation is that time is on their side and all, or most, of the Orthodox churches will eventually accept Constantinople’s decisions. Those unfavorably disposed to the EP’s actions in Ukraine and/or its increasingly haughty rhetoric also believe that time is on their side and that things will eventually return to normal if recognition of the new Ukrainian church is withheld and the rhetoric ignored. This is, I believe, mistaken. Even if the situation in Ukraine somehow took a dramatic turn in favor of the Moscow Patriarchate (MP) it seems unlikely that things would, or could, simply return to the status quo prior to Ukrainian autocephaly. The Orthodox world has turned a corner. Or, rather, the Ecumenical Patriarchate has and now we have to decide what that is going to mean for the future of the Orthodox Church as a whole. The EP makes no secret of the fact that it was bitterly disappointed by the failure of 4 local churches to attend the 2016 Council in Crete. Patriarch Bartholomew’s letter to Patriarch John X of Antioch, denying his request for a pan-Orthodox meeting to resolve the Ukrainian crisis, reflects a hopeless perspective on the possibilities of Orthodox conciliar action. A hopelessness based on the failure of Crete to materialize as a historic, unifying event for Orthodoxy in the 21st century, and the crowning achievement of His All-Holiness Bartholomew’s lengthy reign as Ecumenical Patriarch. It is supremely ironic that while Crete achieved nothing of significance as a council and was destined for the footnotes of history, it may yet attain great historic significance as a catalyst for the changing shape of Orthodox ecclesiology. If the recent actions of the EP are any indication, the bishops of Constantinople see the failure of Crete as the failure of the process it embodied; evidence that, as things stand, the Orthodox churches are not able to realize a functioning conciliarity on the global level; and proof of the need for a stronger, more assertive, primacy. On the question of primacy, Orthodox Synaxis has documented extensively the rather marked change in both the tone and content of the EPs rhetoric concerning its canonical prerogatives and general standing among, or more accurately above, the other autocephalous churches. Much of this rhetoric has appeared within the last year, precipitated by the build up to and fallout from the declaration of Ukrainian autocephaly. It would be a mistake, however, to think that the arguments the EP is making on its own behalf depend on the success of its Ukrainian satellite. These claims to unique spiritual experience and canonical authority over the other churches are being grounded in the very soil of the Church: history, theology, and canon law. This is not to say that the newly-created church headed by Epiphany Dumenko is unimportant to the aspirations of the EP. The article The Trap in the Tomos elucidates very clearly the ways in which it serves as an embodiment of Constantinople’s ambitions. But its failure, while diminishing the vivacity of the EP’s claims, would not refute them. So we have arrived at a significant moment for Orthodoxy. The EP is very boldly asserting its vision of Orthodox ecclesiology in the form of a strong primacy very much like that of the Papacy in the Roman Catholic Church. While nearly all of the other autocephalous churches have called for a conciliar resolution to the Ukrainian situation, and some have complained about the lofty claims Constantinople is making for itself, only the Church of Romania has offered any kind of alternative to the centralized ecclesiology for which the EP is advocating. Most of the churches have contented themselves with simply repeating the word “conciliarity” like a mantra. This suggests that for the most part the vision of those opposed in some degree to the actions of the EP is, currently, little more than hope for a return to the way things were before Crete ’16 or Ukraine ‘18. Given the profusion of canonical irregularities in the 20th century and the inability of the Orthodox churches to overcome their internecine conflicts simply to meet together, it is an open question why anyone would wish to return to that era. Regardless, without some further initiative it is likely to be a moot point. In the face of a muscular and concrete vision for the future coming from Constantinople a backward looking hope for “the good old days” is unlikely to offer any very serious competition. That we cannot go back to a time before the EP so vigorously stirred the ecclesial waters by making such forceful claims to primacy does not mean we can move forward only by accepting them. There is still time for other alternatives to emerge. Romania has made a creative and worthwhile first offering that deserves further discussion. Will there be others? 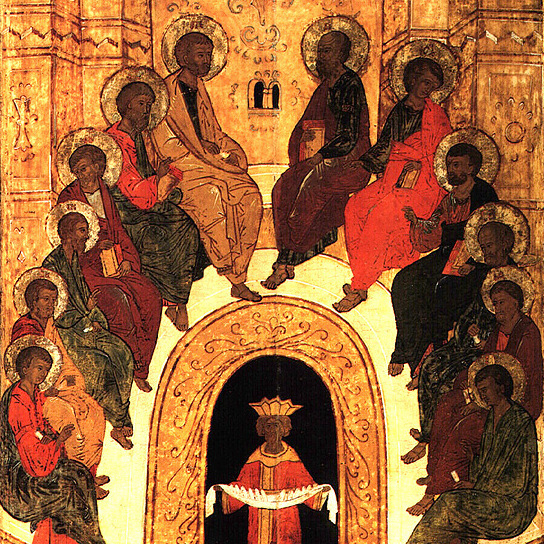 Is it possible for the autocephalous churches to pool their substantial experience and wisdom to develop together an effective plan for a functional and dynamic synodal system on the pan-Orthodox level, one that would allow all of us, including the EP, to move forward together with confidence and fraternal love? An opportunity exists in this moment for the local churches to rise up and take action, to show to the faithful and the whole world that the Church still breathes the air of the Spirit by producing a clear vision for the future, one that demonstrates an effective synodality and brings forth the fruits of the Spirit by restoring peace and renewing the bonds of mutual love that are the hallmark of our life in Christ.